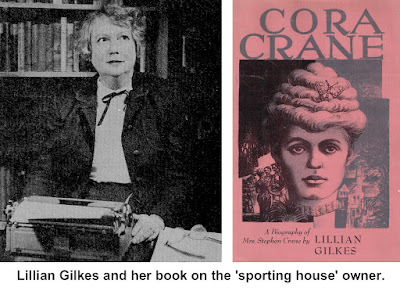 Lillian Barnard Gilkes was a nationally recognized scholar, author and critic whose notoriety in Ridgefield was chiefly civic and political. She worked on presidential and congressional races and in 1947, helped Harry E. Hull become the first Democrat to be elected first selectman in decades. Gilkes also produced acclaimed short stories as well as book reviews for Saturday Review. In 1930, she had lived with a migrant farm worker family in Arkansas, wrote a novel about poor farm workers, and throughout her life she was interested in the social condition of migrant workers and the poor in general. In Ridgefield Gilkes was active in civic and charitable work besides politics. During World War II, she was involved in many efforts to raise money for war relief in Europe and to aid refugees. Among her friends were Bert and Katya Gilden who, as K.B. Gilden, wrote the 1965 best-seller, “Hurry Sundown” — part of the novel was written while the Gildens were staying at Gilkes’ Olmstead Lane home. The book was made into an Otto Preminger film starring Jane Fonda and Michael Caine. Gilkes had been the couple’s professor in a creative writing class at New York University. Gilkes had shared her Ridgefield home with stepsister Louise Davidson, who was also active in community service in the 1940s and 50s. Around 1962, she moved to Tryon, N.C., where she died in 1977 at the age of 74, with three books unfinished.